When we are dealing with any physical or mental ailment, we know it does not affect just one chakra, but also affects two or more chakras if not more than that. This inter relationship between the chakras has always fascinated me. 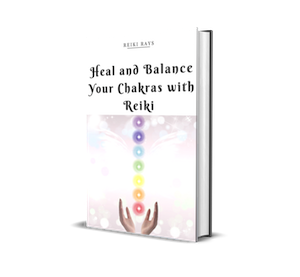 It gets all the more interesting because there is so much to learn and discover about how one ailment can cause blockages in more than one chakra at the same time. Here I would like to present how insecurity affects our chakras and the possible reasons behind it. The main chakra related to insecurity is the Root chakra. It is the chakra for our survival and for being able to get our basic needs. At the same time, insecurity can also affect the Solar Plexus chakra, Heart chakra and Throat chakra. Here’s how. The solar plexus chakra is the seat of our personal power and deals with raw emotions such as frustration, fear, anger etc. Insecurity too, has its roots in these kind of negative emotions. Being insecure does not let us have the confidence to exercise this power in our day to day life and makes us under confident, eventually causing an imbalance in the solar plexus chakra. I am sure each one of us have had insecurity issues at one point or the other in our lives. Some of us are able to come out of it, while others continue to stay insecure. Insecurity can stem from the time you are told you aren’t good enough and when you are not given the love and support you deserve. You cannot give what you do not receive. Over time, not receiving love and not being able to give it back creates an imbalance and this can result in the insecure person becoming rigid and hard hearted too. Being insecure would mean you voice your opinions less. This could be because your opinions and words are not valued, probably since childhood and you grew up to believe it to be true. Not only is it important for us to speak up, it is equally important to be heard and accepted. An insecure person can end up thinking that anything that they have to say isn’t good enough to be heard, so they do not communicate it. This leads to a serious imbalance in the throat chakra. While we are talking about one ailment affecting more than one chakra, I would like to mention an incident where I would send distance healing to a client of mine suffering from prostate cancer. I would concentrate more on the Root and Sacral chakra for his condition. While giving full body healing, I was surprised when his Throat chakra would take in more Reiki. It was only later that I learnt he had not told his wife and kids of his cancer. His wife herself was battling a serious illness and the kids were too young and would not be able to take what was happening to their father. So he did not have anybody to open up to about what he was going through. There are no definite do’s and dont’s when it comes to giving Reiki treatments. Likewise, when treating anybody with Reiki you should trust your intuition to send healing to other than the major problem areas. Your intuition can never go wrong. This is marvellous.. Congratulations and thank you for bringing it to us. Very nice Shwetha 🙂 God bless ! !